Earn $2.87 in Rewards credit. Click to learn more. 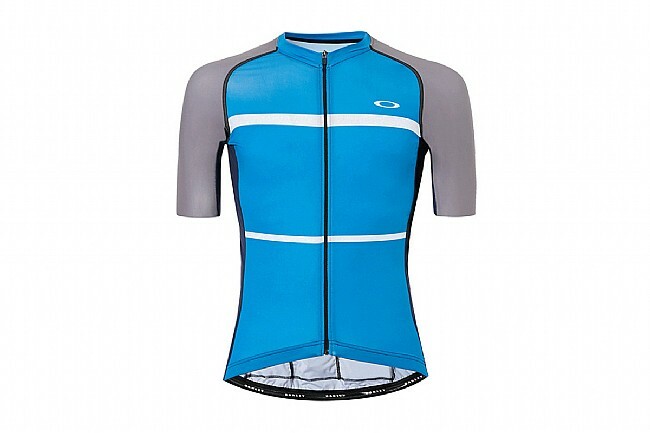 Look good, feel good, and perform better with Oakley's Colorblock Road Jersey. 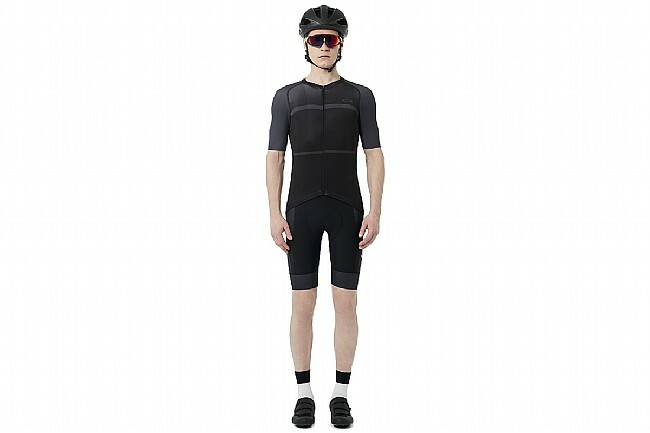 Featuring a body-hugging race fit with a super-light, 4-way stretch stretch polyester fabric, the Colorblock offers uncompromising comfort through its superior moisture-wicking. 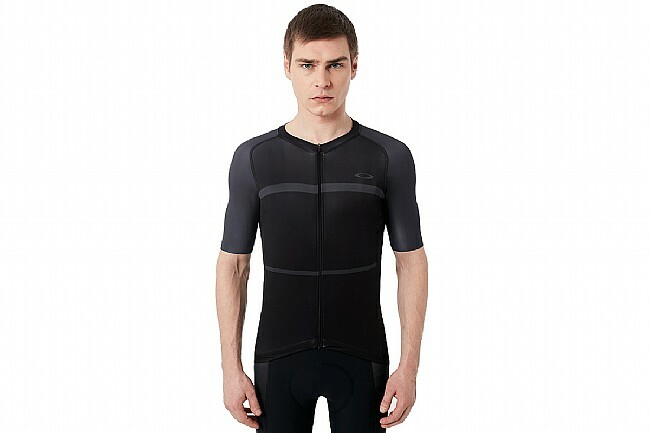 Taking comfortable breathability a step further, the full-length zipper is complemented by the Colorblock's mesh side panels.Laser-cut sleeve openings with integrated grippers keep the jersey looking modern and fitting comfortably, without binding or chafing. Out back, 3 storage pockets offer ample storage space for all the riding essentials. 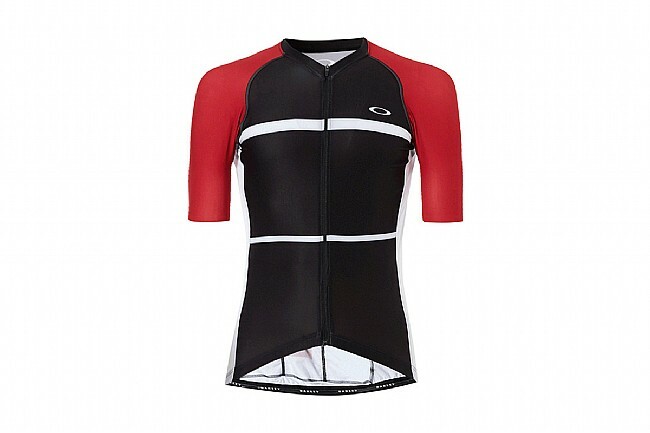 Race-fit jersey with eye-catching design and a super-comfortable construction. 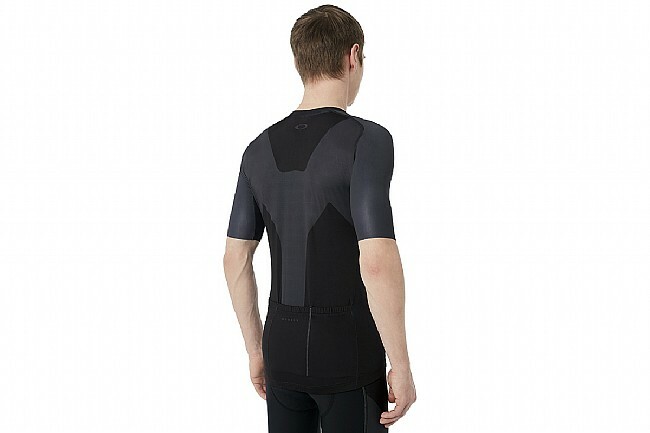 4-way stretch, moisture-wicking main body fabric. 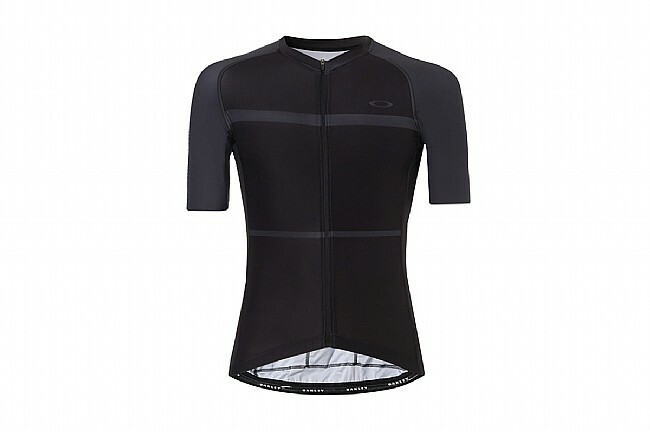 Mesh side panels increase breathability. Laser-cut sleeve openings with integrated grip. Chest 36"-37" 38"-39" 40"-41" 42"-44" 45"-47" 48"-4'3"
Waist 28"-29" 30"-31" 32"-33" 34"-35" 36"-38" 49"-42"
Hips 35"-36" 37"-38" 39"-40" 41"-42" 42"-44" 45"-46"
Inseam 31½"-0" 32"-0" 32"-0" 32½"-0" 32½"-0" 33"-0"